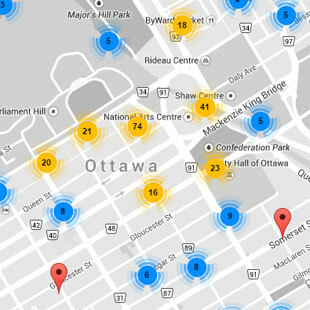 The Supreme Court Buff is a tiny area located at the north-west end of Centretown. 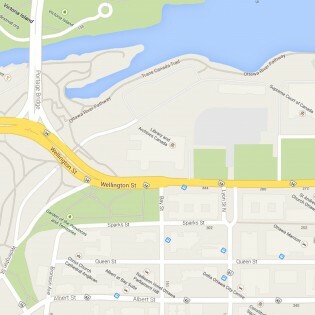 It is bounded by Lyon Street on the east-side and Lebreton Flats on the west. Most of its urban feel was taken away and numerous streets disappeared to make room for the Supreme Court, the Library and National Archives building and the Garden of the Provinces. 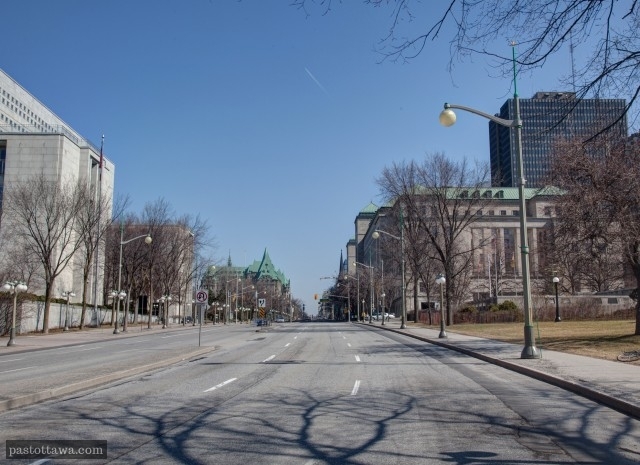 Ottawa is about to get a new urban plan for the bicentennial in 2067. Its predecessor was the Gréber Plan, which had the mandate of making Ottawa a capital city of the world. 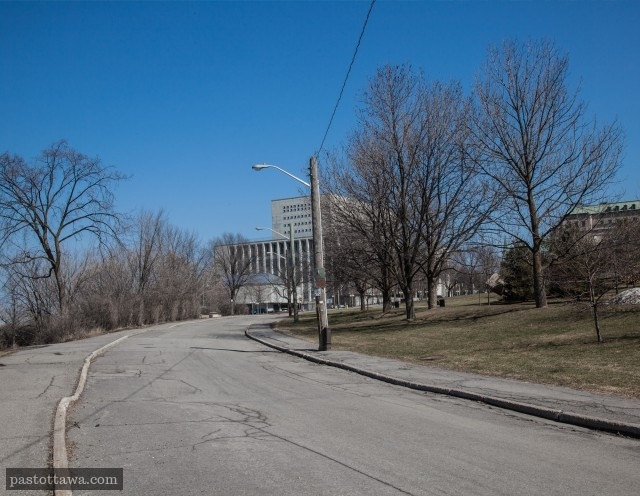 In line with the City Beautiful movement, the Gréber Plan wanted, among other things to: increase the general quality of housings, add green space and introduce large boulevards to Ottawa. 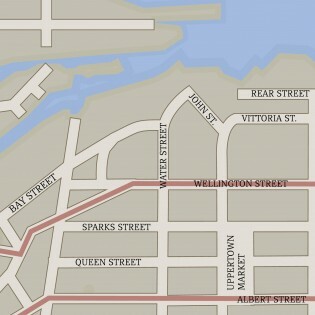 The Gréber Plan wanted a totally different use for the triangular block Wellington –Bay-Sparks so the government expropriated and demolished the existing buildings in the early 1960’s. 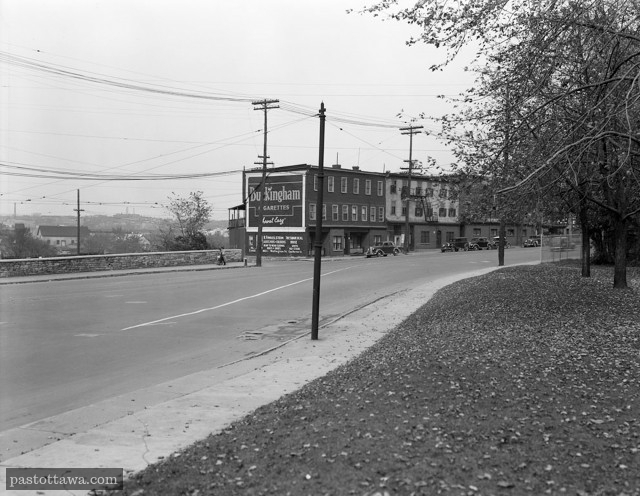 Ottawa was a lumber town before Ottawa became the national capital. The Brading Breweries building was constructed in 1865 by Harry Fisher Brading, who wanted to capitalize on the need to quench the thirst of lumberjacks. It was saved from the great fire of 1900, despite being in the most affected area of town. 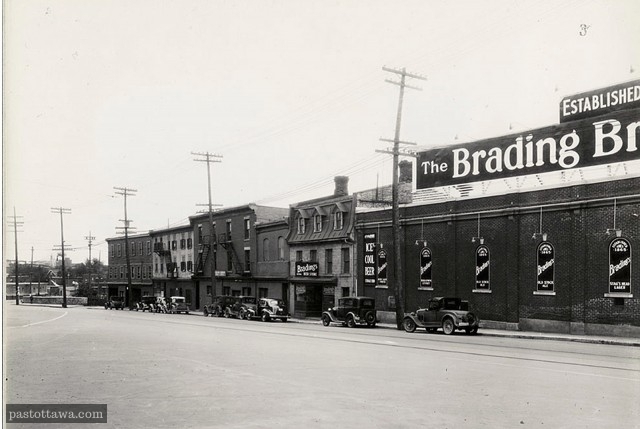 The Brading Breweries building was doomed to be demolished from the day the city of Ottawa adopted the Gréber plan. 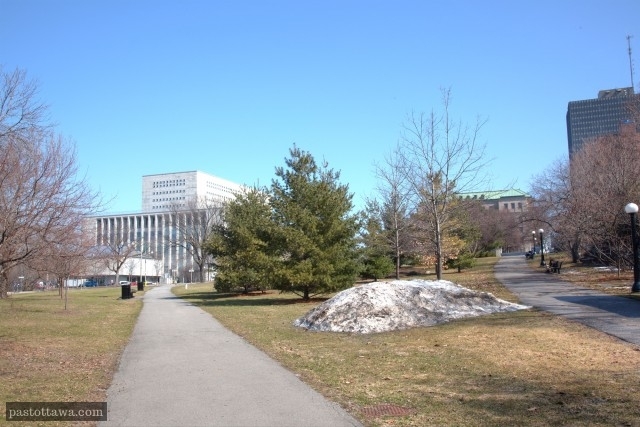 On August 20th 1938, the Federal Government expropriated the building for $550 000, which created some controversy in Ottawa given the amount paid was about 5 times the evaluation value. The government leased the property to the O’Keefe Company, the owner of Brading Breweries until 1957 and the building saw its last customer in the summer and demolished in October of the same year. It was the only unionized brewery in the region and it employed roughly 250 people in 1956. It is somewhat ironic that on the 50th anniversary of the Lebreton expropriation, the neighbourhood regained its brewing tradition with the opening of the Mill Street Brewery and Pub. 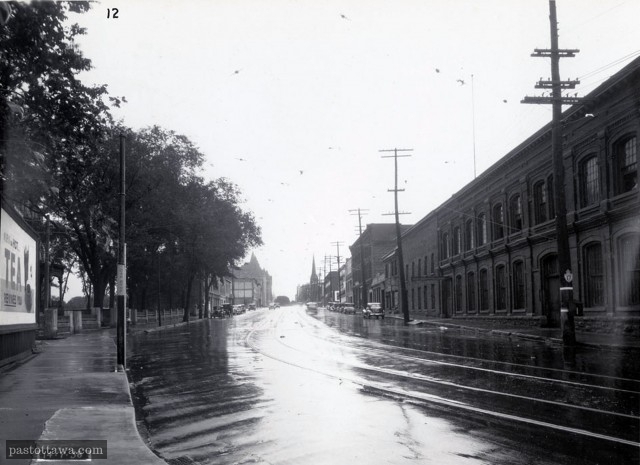 Fifty years ago, fewer cared about heritage buildings and old neighbourhoods. Too often, urban renewal has been associated with starting from scratch. Over the years, we have learned that replacing old by new is not always for the best approach. The importance of parks like Minto Park or Dundonald Park is obvious for their location and multi-usage. The importance of the park built at former Wellington-Sparks intersection is far less obvious. 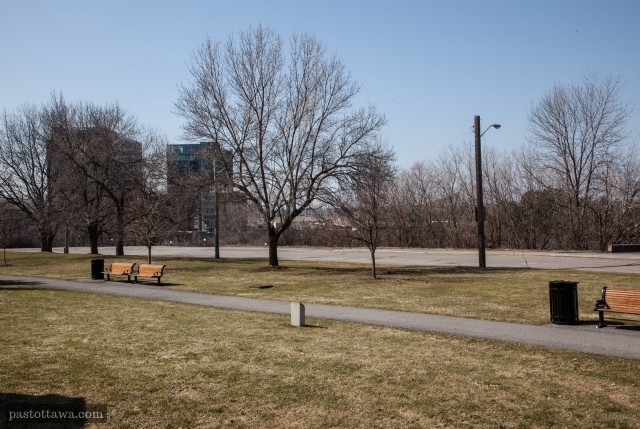 Ottawa deserves more than just green space- it deserves parks that provide a multitude of uses to residents. 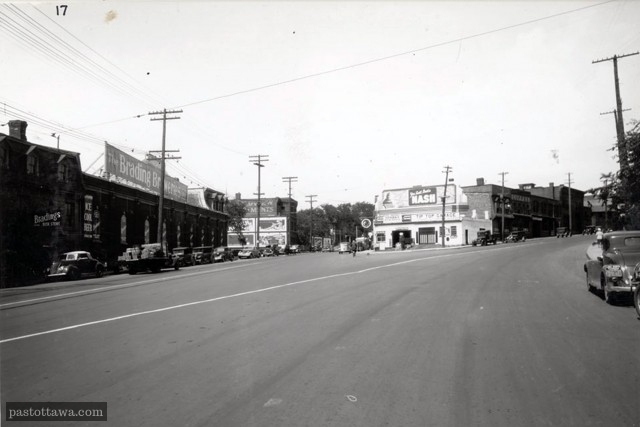 Car traffic greatly increased since Wellington was widen. Section of Sparks removed to make room for the useless Garden of the Provinces. This section of Wellington has been expropriated & demolished. It is now a park that nobody uses.